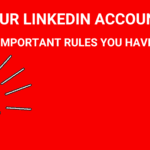 LinkedIn is one of the most widely used platforms among professionals. There are over 500 million users, and the site is a great way to build connections, get noticed, and improve your career prospects. But, research shows that around 90% of profiles are not optimized, meaning they blend into the crowd and aren’t getting the attention they deserve. Can you relate? Well, with a bit of attention, you can give your profile a boost. And you can do this in a very small amount of time. 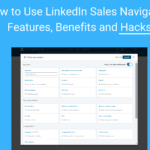 This article is not about using the autopilot for LinkedIn tools, it’s about a foundation you need to build before you dive into prospecting. So, if you’re looking to improve your LinkedIn profile in 2019, you’re in the right place. Here are some of our top tips on how to get better results with LinkedIn! 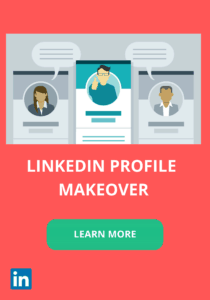 The profile picture will be the first thing potential clients will see once they open your LinkedIn profile. Make sure you’re creating the right first impression. First off, you need to check that your profile picture is set to public. You need to do this, otherwise, it won’t show up in any searches, or be visible to recruiters. And the evidence shows that profiles with professional headshots are much more likely to be viewed than those with no picture at all. When you’re choosing your picture it’s important to remember that, unlike your personal social media pages, LinkedIn is a professional networking site – and therefore the picture needs to be professional too. 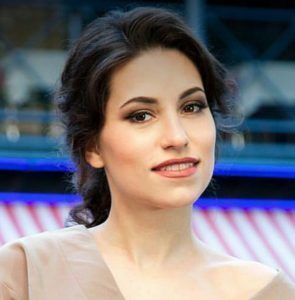 Ideally, you should use a clear headshot of just you, and you should aim to look as approachable as possible. This will increase the number of new opportunities that come your way! 2. Is Your Information Up-to-date? 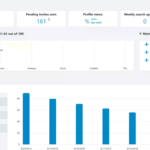 The next thing you need to check is whether all the information on your profile is up-to-date. The last thing you want is for employers to find your profile, only to find your contact information or work history isn’t correct. Make sure that you use your current location and contact information, including your email address, phone, number, website, or professional social media accounts. It’s important to remember that LinkedIn InMail is only available to Premium users. So if you want to be contacted and you don’t have a Premium account, you need to make sure recruiters or clients can contact you in other ways. Furthermore, check all of your career information and make any updates where necessary. This includes your most recent job, it’s location, your current role and title, and all of your responsibilities in that role. If you really want to stand out from the crowd, why not try adding an engaging visual element to your profile? 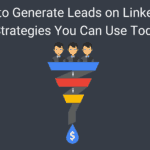 If you’re looking at ways to make getting leads from LinkedIn easier, adding images, videos or other visual elements can work very well. For instance, you can change your background to reflect your own skill set and personality, and create a great first impression. In addition to this, you can use photos or videos; or you can add links to your personal website, blog, or portfolio. This works particularly well if you work in a creative industry, as potential clients and employers love to see examples of your work. It makes it easier to see your skills. When employers are looking at your profile, one of the first things they will look for is whether you have the skills they are looking for. Think about the industry you’re in and the type of role you want. Which skills are the most important? These should be at the top of the list. You need to list meaningful skills that will appeal to your target group. Doing this helps you stand out, and also make you more searchable across the network. Additionally, be sure to ask for endorsements from your previous colleagues and employers. This will make you a more credible candidate. You can remove any skills that involve universally used programs like Word, Excel, or Powerpoint, as well as social media – unless, of course, you are an expert in these areas and they are crucial to your role. It goes without saying that one of the most important factors in improving your LinkedIn profile is the content itself. If you want to impress recruiters, you need to check that your headline, description, and the details you include help you show off your skills. For example, when creating your headline, as well as listing your position, you could try adding extra details to stand out. This could be your experience level, any extra skills you have, or what you believe your biggest strengths are. In the Linkedin profile summary, it can be tempting to add jargon and cliches. But, if you want to get noticed, it’s much better to try and be as unique as possible. Talk about your specific accomplishments. Which of your achievements are you most proud of? Show these off on your profile. Ideally, a good LinkedIn summary will tell a story that’s engaging to the reader. One of the benefits of LinkedIn is that your page can be shared with others, making it a much easier way to show clients and recruiters what can offer them. All of your information is clearly laid out, in the same place. However, if you want to seem more professional when sharing your profile, why not create a customized URL? It makes it much easier to be found and is very easy to set up. You can change it to your name, your company or brand name, or use a URL that reflects what you do. Lastly, once your profile is complete, up-to-date, and interesting, you need to make sure you’re using the site regularly. A lot of people will check for jobs, then log off. But, if used correctly, it can also help you to network and interact with relevant individuals in your industry. Try and log in every day. Join groups that are related to your industry, and aim to spend time in these groups. You can interact with others. Also, you can follow people you inspire or successful people. Then, your newsfeed will be filled with topics that are of interest to you. 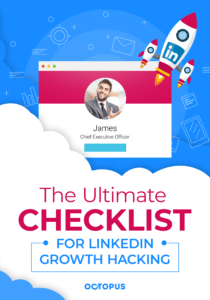 If you’ve decided 2019 will be your year for your business growth, LinkedIn is one of the best ways to network and connect with others, which can help you achieve your goals. By following these tips, you can improve your profile and help you reach success!